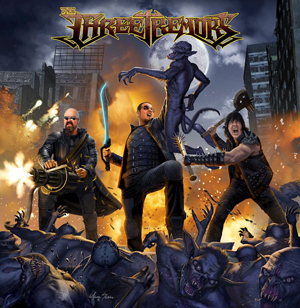 THE THREE TREMORS have debuted a video for the track "The Wrath of Asgard", which you can check out now on KNAC.COM HERE. The track is taken from their self titled album, and the video features the band and fan filmed footage from their first ever European tour!! Go see them live on tour to experience a one of a kind heavy metal thrill ride.